Brian Gale Surveyors has over 30 years of industry experience, making our team ideally positioned to provide clients across London, Surrey and Sussex with a broad range of property services and professional advice. Working with residential and commercial clients, our extensive portfolio includes carrying out dilapidations surveys for various types of building and offering valuable dilapidation advice to landlords and tenants at the end of a lease. Commercial leases will typically include clauses that specify the liability of both the landlord and tenant when it comes to repair and maintenance. Known as Dilapidations, understanding how much either party is responsible for can be a complex matter and seeking professional guidance is highly recommended. At Brian Gale, we offer a number of services for both landlords and tenants to help them prepare and respond to dilapidation procedures. Specifically for landlords, our surveyors offer an interim internal Schedule of Dilapidation to assess the condition of a property during the tenancy in order for them to make an informed plan for the end of the lease. For tenants, we can provide advice at the beginning of a tenancy so that so that they may fully understand their potential dilapidations liability at an early stage. If required, our surveyors will or represent either party during an end of tenancy negotiation to agree on a financial settlement or a scope of works. Otherwise, we will offer professional recommendations and negotiation strategy for landlords and tenants prior to an upcoming lease termination, sale and lease back situation, lease assignment or lease renewal. We understand that every situation is unique and will require specific advice tailored to the individual client and lease agreement. Even if you are taking an assignment of an existing lease it is essential that, as a potential tenant, an experienced Chartered Surveyor is brought on board to give professional dilapidation advice. Brian Gale Surveyors is a team of independent Building Surveyors and Valuation Surveyors with over 30 years’ of experience working in the property market across London, Surrey and Sussex. 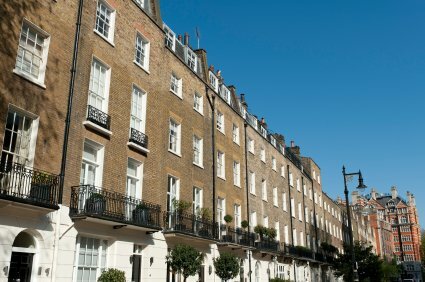 Our highly skilled surveyors are able to provide residential and commercial landlords and tenants with a wide range of services, including Defects Analysis Reports, Lease Extensions, Party Wall Awards, Schedules of Condition, Schedules of Dilapidation, assistance with Building Disputes and Boundary Disputes, and Construction Project Management. So that every client can have complete confidence in the quality and consistency of our service and products, the surveyors at Brian Gale Surveyors are members of the Royal Institution of Chartered Surveyors (RICS). This is the industry-leading regulatory body, ensuring a professional service delivered with highest levels of customer care. Brian Gale Surveyors has extensive property expertise and our team would be happy to discuss a dilapidations report, dilapidation survey or issues with a Schedule of Dilapidation. Or, if you would simply like to have an informal chat about a commercial or residential property with a member of our friendly team, please don’t hesitate to contact us. You can call us directly on 01737 245947 or send an enquiry via email to kelly@briangalesurveyors.com. Alternatively, you can make an appointment to visit our offices on the Surrey/Sussex border, which serves clients in Sussex, Surrey, London and beyond. For a quick enquiry, you may prefer to complete the form below and we will get back to you as soon as we can.